Was Hezbollah Referring to Sophisticated SAM's? Missile Proliferation: Manufactured by Extremist Regimes, Supplied to Extremist Groups in Violation of International Law, i.e. UN 1559, 1701. BEIRUT, Lebanon: Hezbollah possesses sophisticated weapons that could be used to target Israel, a retired Lebanese army general said Wednesday, a day after the militant group's leader promised that Israel would face a "big surprise" if it invaded Lebanon. In a speech marking the year anniversary of the cease-fire that ended last's summer's Israel-Hezbollah war, the Shiite Muslim group's leader, Hassan Nasrallah, warned Israel against striking Lebanon. "Oh Zionists, if you think of launching a war on Lebanon, and I don't advise to do it. ... I promise you a big surprise that could change the fate of war and the fate of the region," Nasrallah told a mass rally late Tuesday in Beirut's southern suburbs, a Hezbollah stronghold that was heavily bombed by Israeli warplanes during the 34-day war. Nasrallah did not elaborate on his threat but reiterated that his group possessed long-range rockets that could reach deep into the Jewish state. During Tuesday's speech, he did not specify how many rockets Hezbollah has, but in October, Nasrallah said Hezbollah had 33,000 rockets. His comments have not been independently confirmed, and the number and type of weapons Hezbollah are not known. The U.N.-brokered cease-fire that ended the war a year ago demands that Hezbollah disarm and prohibits the group from receiving arms shipments. But the guerrillas have refused to lay down their weapons, saying the arms were needed to defend Lebanon against Israeli threats. Retired Lebanese army Gen. Elias Hanna said Wednesday he believes Nasrallah's speech shows that Hezbollah possesses thousands of advanced anti-aircraft missiles. "Israel has air superiority. So Hezbollah must act to deny Israel this superiority by using advanced anti-aircraft missiles," Hanna told The Associated Press. Hanna said that in addition to Hezbollah's possession of long-range missiles, "there is a possibility that Hezbollah may have some sleeper cells inside Israel that could be activated in the event of war." He also warned that Hezbollah could have sleeper cells abroad, though the militant group has denied this allegation. In Israel, Foreign Ministry spokesman Mark Regev said while there has been an improvement in security situation on Israel's northern border, concerns still remain. "We are concerned, however, as to continued attempts of Hezbollah to rearm. Specifically, we are concerned that there is a flow of illicit weapons from Iran and Syria to Hezbollah in direct violation of the U.N. resolution, and we believe the international community should act against countries who by continuing to supply weaponry to Hezbollah are acting to undermine a U.N. security council resolution," Regev said. Israeli Cabinet Minister Binyamin Ben-Eliezer also said he recommended taking Nasrallah's comments seriously. "Nasrallah has never lied. He is cocky, he is arrogant, but at least from our experience with him, to my regret, what he has said, he has done. And when he says 'I have 20,000 missiles' I believe him," Ben-Eliezer told Israel's Army Radio on Wednesday. Earlier this month, the U.N. Security Council expressed "grave concern" at reports of arms smuggling to Lebanon, but dropped a direct call to Syria and Iran, Hezbollah's main allies, to enforce the U.N. arms embargo. The council also voiced "deep concern" about recent statements by Nasrallah "that it retains the military capacity to strike all parts of Israel." The war erupted on July 12, 2006, when Hezbollah guerrillas crossed the border into Israel and attacked an Israeli patrol, killing three soldiers and capturing two. More than 1,000 Lebanese and 159 Israelis were killed in the war. One year ago to the day, the Lebanese Shiite terrorist Hizballah sent a unit across the border into Israel and ambushed an Israeli patrol, killing eight of its members and kidnapping two. The raid, followed by a Katyusha rocket attack on northern Israel sparked the Israeli invasion of Lebanon and a 34-day war. Today, DEBKAfile’s military sources report that Hizballah is in better military shape than ever before. its sponsors, Iran and Syria, have not only replenished the rocket stocks depleted by daily barrages against Israeli towns and villages, but topped them up by 50%. Whereas Hizballah started the 2006 war with 12,000 rockets of different types, today the Lebanese Shiite terror group has accumulated 18,000 in its arsenal. Drawing lessons of that war, Hizballah has doubled the number of teams trained to launch rockets and given them a fleet of all-terrain vehicles and motorbikes for speedy movement between firing locations. 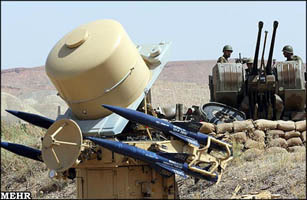 Hizballah’s long-range rocket force, designated “Planning Unit,” is stationed in northern Lebanon in the Hermel district. Most of the new rocket supplies, including hundreds of Zilzal-2, Zilzal-3, and Fatah-110, which has a range of 250 km (reaching Tel Aviv and points south), are stored in large emergency depots on the Syrian side of the border with Lebanon to keep them out of sight of UN peacekeepers and out of the way of the Israeli Air Force in a flare-up of hostilities. Hizballah plans to delay hauling the rockets into Lebanon until the last moment before they are fired. Hizballah’s short-range rocket unit, designated the “Nasr Unit”, is stationed in the Tyre region of the South and its command center in the village of Maarub. They are positioned for striking the northern Israeli towns of Haifa, Kiryat Shemona, Tiberias, Safed, Acre and Nahariya. To stay out of sight of UN peacekeepers policing in the South, this brigade keeps a low profile, reactivating only very few of the bunkers which served them in the war. the bulk have been cleared out, restocked with ammunition and combat rations, prepared for military use and kept closed. This enables the Lebanese government and, less willingly, the Israel high command, to maintain that a lot has changed for the better since the war and Hizballah is no longer deployed right up to the border but at a distance. This is only a half-truth. The fact is that the Shiite terrorists are back in the South, albeit well hidden in the Shiite villages. Consequently, Israeli policy-makers can continue to spin illusions, like those the Olmert government fed the public and the media before the last war. Hizballah has tripled its shore-to-sea C-802 missiles, one of which crippled an Israeli missile ship in July, 2006. With 25-30 of these weapons, the Shiite militia is capable of menacing any of the warships cruising Mediterranean waters opposite the Lebanese coast, be they Israeli missile boats, the American Sixth Fleet or the European flotilla attached to UNIFIL. Several dozen more are concealed across the Syrian border, ready for transfer at short notice. Hidden there too is double the number of anti-tank missiles in service with the Hizballah in 2006, of types which caused heavy damage and casualties to Israeli tank crews. Syria has upgraded this stock with a large supply of “Third Generation” missiles bought in Russia with Iranian funding. Another major difference between then and now is that Hizballah has established its first air defense unit armed with ground-to-air shoulder-borne Strela-7 missiles and the mobile Rapier 2s. Last year, Hizballah fielded 1,600 well-trained commandos, the backbone of its fighting force, and lost 750 in combat with the Israeli army. Since then, 1,200 fresh fighters have been recruited and are undergoing commando training at a special facility near Tehran. Each course of three to four months has an intake of 300 to 400 Hizballah recruits. The third course went into training in July. By the end of the year, Hizballah will have some 2,000 elite troops, 400-500 more than its number at the outset of the last war. Hizballah’s secretary-general, Sheik Hassan Nasrallah, presents a charismatic, powerful image. 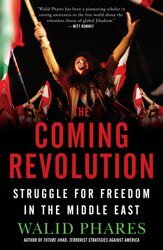 However, since the war, Iran and the movement’s leadership have reduced his mandate to internal Lebanese politics in opposition to prime minister Fouad Siniora and the rest of Lebanon’s anti-Syrian political bloc, headed by Saad Hariri and Walid Jumblatt. The militia’s present war chief, special operations planner and liaison with Iran, Syria and al Qaeda, is the veteran Hizballah super-terrorist and kidnapper, Imad Mughniyeh. Serving under him as chief of staff is Ibrahim Aqil. Number 3 in the movement’s military hierarchy is Hajj Khalil Harb, commander of Unit No. 1800, which kidnapped the Israeli soldiers Udi Goldwasser and Eldad Regev in its cross-border raid of July 12, 2006, and is responsible for special operations in Israel, the Palestinian territories and Iraq. Members of this elite unit are deployed in the Gaza Strip in support of Hamas. In Iraq, they cooperate with Sunni and Shiite terrorists fighting US troops. Unit No. 1800 has a permanent complement of 5,000 trained men and a partially-trained reserve force of 9,000 on standby. The militia’s fighting manpower, including its special intelligence and security agencies, totals between 15,000 and 16,000. JERNAS is the export name for the Rapier FSC (Field Standard C) air defence system developed by MBDA (formerly Matra BAe Dynamics, UK). 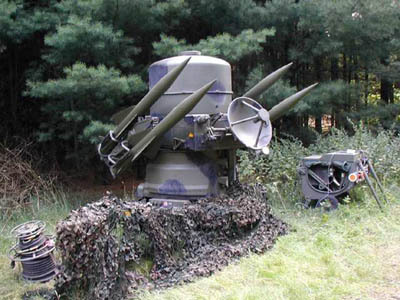 JERNAS is based on the Rapier Mk 2 missile and launcher, which is in service with the British Army and Royal Air Force, the Blindfire tracking radar and the Dagger surveillance radar. JERNAS provides defence against unmanned aerial vehicles, cruise missiles, and fixed and rotary wing aircraft. The Rapier missile is capable of engaging supersonic, low level, high manoeuvrability aircraft and can be towed behind medium size vehicles and Armoured Personnel Carriers. It is air-portable by transport aircraft or helicopters. Development of the system started in 1992 and 57 Rapier FSC systems were produced for the UK Ministry of Defence. Rapier FSC first entered service in 1996. The systems are operational in two air defence batteries of the Royal Artillery and three air defence squadrons of the Royal Air Force plus associated training units. In July 2004, the UK Ministry of Defence announced plans to reduce Rapier anti-aircraft missile launchers from 48 to 24 fire units, including the disbanding of the RAF Ground Based Air Defence (GBAD) Squadrons. The four RAF squadrons will be disbanded between March 2006 and March 2008. A new Air Defence Command and Control System, ADC4I, is to be developed for the UK Ministry of Defence Ground Based Air Defence (GBAD) programme Phase I. The system will integrate Rapier FSC and the Starstreak air defence missile system to provide a network enabled capability. Phase 2 will involve the upgrading of the missile systems. MBDA and EADS Defence & Communications were awarded the contract for the assessment phase of the programme in December 2003. Various versions of the Rapier missile system are in service with ten countries. Oman, Singapore, Switzerland and Turkey have had their systems upgraded and have ordered the Mk 2 missile. BAE Systems is upgrading 20 systems for Australia. In April 2002, Malaysia signed a contract with MBDA to procure the Jernas system, including missile launchers, radars, missiles, training and support. Malaysia is the first export customer for Jernas. Alenia Marconi Systems will supply the Blindfire tracking and weapon control radars and Dagger surveillance radars. The systems are in production and first deliveries are scheduled for 2006. The firing unit holds eight ready-to-fire missiles. The missiles are mounted on launcher rails on the walls of a rotatable turret. A full reload is carried out manually in 2mins and requires no lifting aids. The Rapier Mk 2 missile is equipped with a fragmentation high explosive warhead from BAE Systems Land Systems (RO Defence) and is fitted with a multi-mode laser proximity fuse. The missile's propulsion system is a two stage enhanced solid-propellant rocket motor from Roxel (UK Rocket Motors), formerly BAE Systems RO, Rocket Motors Division. The guidance is automatic infrared and radar command to line of sight. The Dagger target acquisition and surveillance radar is a multi-beam high resolution 3D radar supplied by BAE Systems Insyte (formerly Alenia Marconi Systems). The radar is a frequency agile 3D pulse Doppler radar operating in J-band, with scan rate of 60 or 30rpm. The maximum detection range of the radar is in excess of 15km. An optional range of 32km is available. The maximum elevation is 5km. The system has the processing capacity to detect more than 75 threats per second. The radar provides bearing data and threat assessment from a Cossor Mark 10 or 12 IFF (Identification Friend or Foe) system. The signal processing system incorporates clutter rejection algorithms and is also resistant to electronic countermeasures. A high elevation guard beam automatically switches off the transmissions when the presence of an anti-radiation missile is detected. The Blindfire tracking radar, supplied by BAE Systems Insyte, is a differential monopulse frequency agile radar operating at F-band which provides fully automatic all-weather engagement to a range of 15km. The output is sufficiently powerful to burn through most jamming signals and the radar uses advanced frequency management techniques to evade jamming and other hostile electronic countermeasures. The system incorporates a self-surveillance reversionary mode of operation. A dedicated missile command link provides dual firing capability. The electro-optic tracking device, a passive infra-red electro-optic sensor, is mounted on the top of the turret in a spherical housing and is controlled by an operator at a weapon control terminal. The tracking device can be used in scanning mode to provide passive target detection and acquisition in radar-silent operations. Raytheon Systems Limited has been awarded a contract to supply all the UK Army’s Rapier FSC systems with the SIFF (Successor Identification Friend or Foe). When the surveillance radar detects and acquires a target, the bearing data is downloaded to the tracking radar and the launcher, which then automatically align to the target bearing. The target is acquired on the optical tracking system. When the surveillance radar has confirmed that the target is hostile the missile is launched. The missile is guided towards the target at speed in excess of Mach 2.5 by passive infra-red line of sight and active command to radar line of sight. The automatic reaction time is less than 5s and a second target engagement takes less than 3s. The Imperial Iranian Army has made a $352.8 million order for an upgraded tracked version of the Rapier missile launcher system. The British Aircraft Corporation Guided Weapons Division makes the Rapier and the upgraded version consists of eight missiles. The Imperial Iranian Army has also ordered the American-made M-548 tracked-cargo carrier made by the FMC Corporation in California. The tracked-vehicle Rapier is different from the all-weather Blindfire launcher, which Iran already has. The M-548 vehicles are part of the M-113 family, designed to carry Lance missiles. The system has been tested in a variety of weather conditions in Iran on a modified FMC vehicle. Iran is discussing with the British Ministry of Defense and the British Aircraft Corporation about producing the Rapier missile in Iran. The British Aircraft Corporation agrees to accept Iranian crude oil in payment for a $640 million deal to supply the Imperial Iranian Army with the tracked Rapier short-range anti-aircraft missile system. Furthermore, The British Aircraft Corporation and Iranian Electronics Industries agree to create a new company under the name of Irano-British Dynamics to manufacture the Rapier missile in Iran. This new company will develop and assemble 2,500 Rapier half-tracked, low-level anti-aircraft missiles. The project is expected to produce 75 missiles per month at the site of Parchin. Under the agreement, Iran will be allowed to sell the missiles to third countries. —"Oil for Arms," Aviation Week & Space Technology, 29 November 1976, in Lexis-Nexis; Ann Tibbitts Schulz, Buying Security: Iran Under the Monarchy (San Francisco: Westview Press, 1989), p. 57. Iran may try to insulate its defense development projects from the ups and downs of the oil market by using oil as payment. Germany's Krupp will take oil as a payment for $135 million worth of copper refining and smelting equipment. British Aircraft Corporation will receive between 15,000 and 20,000 bbl. per day of oil for five years in return for $700 million worth of Rapier missiles. —"Iran Rebuilds Its Confidence," Business Week, 31 January 1977, p. 54, in Lexis-Nexis. The project initiated between Iran Electronics Industries (IEI) and the British Aircraft Corporation (BAC) is cancelled. It was meant to develop and assemble 2,500 Rapier half-tracked, low-level anti-aircraft missiles and expected to produce 75 missiles per month at the site of Parchin. —Ann Tibbitts Schulz, Buying Security: Iran Under the Monarchy (San Francisco: Westview Press, 1989), p. 57. —"Iran Rapier," Aviation Week & Space Technology, 18 December 1978, in Lexis-Nexis. Under the Shah, Iran's arsenal includes the following missiles: Hughes Aircraft BGM-71 A, TOW, AGM-65a Maverick, AIM-54A Phoenix, Rapier, MIM-23B Hawk, AIM-7F Sparrow, AIM-9 G/H Sidewinder. Iran also reverse-engineers the Soviet RPG-7, BM 21, and SAM-7 missiles. Iran at least once requests American participation in the development of an American designed missile; the Americans refuse. —Ann Tibbitts Schulz, Buying Security: Iran Under the Monarchy (San Francisco: Westview Press, 1989), pp. 57-58. The Iranian Project Ya-Zahra succeeds in producing a reverse-engineered version of the French Crotale surface-to-air missile (SAM). Iran also has reverse-engineered British Aerospace (Bae) Rapier SAMs. Iranian missile engineers successfully tested eight of these after a complete re-build and upgrade. —Homa Farmehr, "Anti-aircraft capability is Iran's highest priority," Jane's Defence Weekly, 21 July 1999. According to Iran's state-run television and other sources, Iran recently inaugurated four new missile programs: a surface-to-air missile called Misaq, two laser-guided heavy anti-armor systems called Tondar and Tosan (Fury), and a medium-weight anti-armor system called Super Dragon. Iran is also reportedly developing an anti-tank, wire-guided Nafez missile and the I-Raad, an improvement on the Raad anti-tank missile. The programs are conducted under the supervision of the Islamic Revolution Guards Corps (IRGC) and are developed by the Defense Industries Organization. Iran's expanding defense industries appear to have mastered the techniques of reverse engineering. It is likely that the Super Dragon is based upon the U.S.-designed short-range anti-tank missile that the Iranian military acquired before the Islamic Revolution. The Sayyad-1 is understood to be a reverse-engineered SA-2 "Guideline" which was test fired in April 1999. IRNA quoted a defense ministry official as saying that the "whole process, from design to manufacture, was carried out at the Defence Ministry's Aerospace Industries Organization...The Sayyad-1 missile...meets the major part of the needs of our air-defense network for medium- and long-range weapons." Iran has also reverse-engineered a version of the French Crotale surface-to-air missile (SAM) and the BAe Rapier SAM, and the Raad anti-tank missile is understood to be based upon the AT-3b Sagger 9M14M Russian system. Nothing is known about the Misaq SAM project, except that it is likely to involve reverse-engineering and an existing system that is adapted to fit IRGC requirements. —Ed Blanche, "Iran Launches Four New Missile Programs," Jane's Missiles & Rockets, 1 December 1999.